Keeping with its fast-paced development cycle, Google has released the latest stable build of Chrome — version 19 for those still counting. The release fixes as many as 21 vulnerabilities, including eight high-risk bugs and another eight considered medium risk. In all, Google paid security researchers around $16,500 in rewards as part of its bounty program, with one bug related to an out-of-bounds write in libxml fetching $1,500 alone. Besides the bug fixes and other performance improvements, the highlight of today’s release is the addition of tab syncing to Chrome. 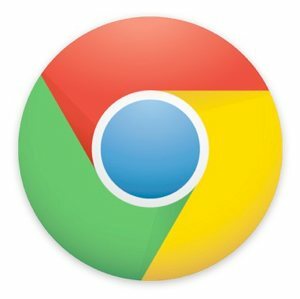 This means Chrome browser users will be able to sync their open tabs across multiple computers as well as an Android 4.0 phone with the Chrome beta app installed. Chrome will even sync the browsing history within each tab, so going back and forward should work as well. Although the stable version of Chrome 19 is already being pushed automatically to users, Google cautioned that the new tab-syncing feature will roll out "more gradually in the coming weeks”. After it becomes active you should see a new option for "other devices" along the bottom of your browser window, which pulls up all the tabs you have across different browser windows on any other device that you're signed in to. The new feature complements Chrome’s synchronizing abilities which already includes saving bookmarks, apps, history, themes, extensions and other settings between machines.